Are you ready to relax with a good book, some hot chocolate and a snuggly blanket? 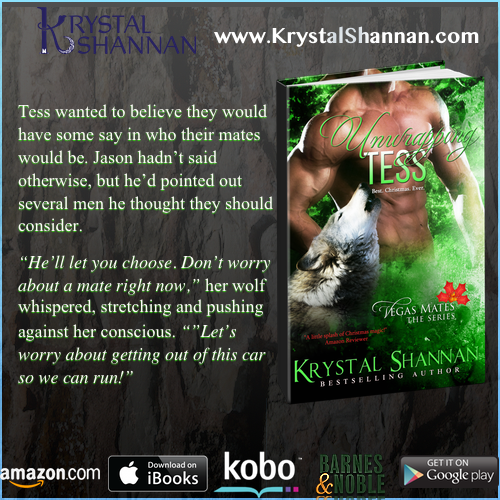 Unwrapping Tess is the 5th book in my paranormal romance Vegas Mates series. Let these shifters get you in the mood…for the holidays! only thing missing is a spark with any of the pack males. After her and her twin sister's twenty-fifth birthday passes, she'd thought for sure one of the handsome men in her aunt's pack might've been meant for her.